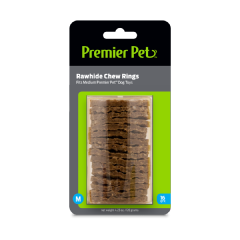 The Premier Pet™ Ring Holding Dog Toy keeps your dog entertained by securing tasty rawhide chew rings on a fun and durable toy. Simply screw both ends off the toy, place the chew rings on the posts and screw the ends back on. 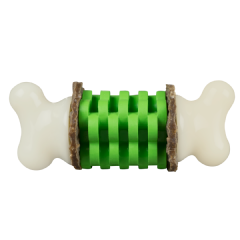 Your dog will enjoy playing with and chewing on the toy while trying to get the rawhide chew rings off, and will be rewarded with a tasty treat for his/her efforts. Smearable treats, such as peanut butter or cheese spread, can be placed on the center of the toy that features an uneven surface to make the spreads hard to lick off. 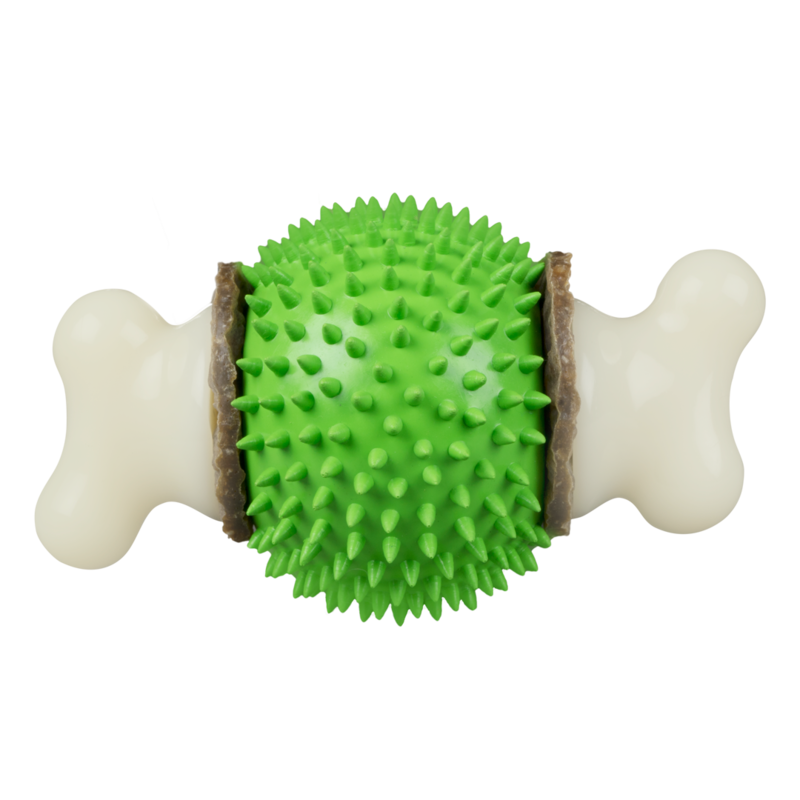 With these treat and toy combinations, this toy will keep your pet engaged and boredom free.